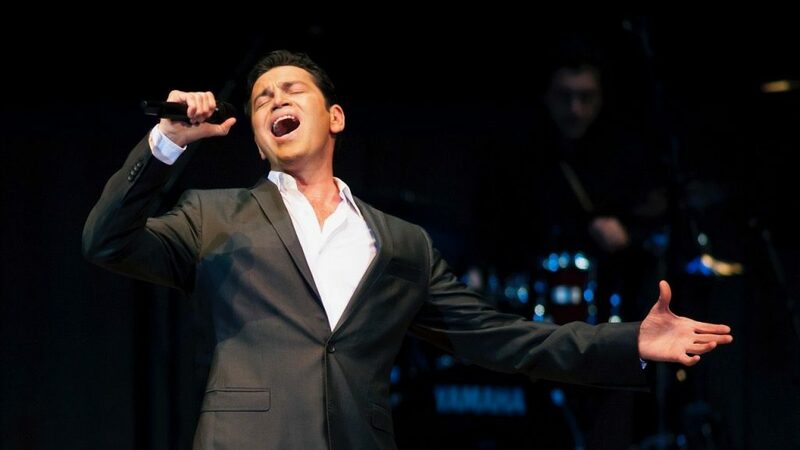 Not many artists can claim to be ‘international Greeks’ like Mario Frangoulis does. Over his rich and fruitful career, the tenor has uniquely combined musical theatre and opera with contemporary songwriting, creating a body of work which he will present for the first time in Australia, with a concert at Sydney’s City Recital Hall on Sunday 22 October, which is a perfect opportunity for an interview. What are you going to present at your City Recital Hall concert? This is the first time playing in Australia and I’m delighted. Sydney is one of the most beautiful cities in the world. Our program comprises of songs from my international repertoire, of roles I’ve played in musical theatre, such as Les Miserables, Phantom of the Opera, West Side Story, alongside many other beloved songs, Greek and international. I will be joined by the extraordinary Australian soprano Julie Lea Goodwin, with whom I will sing duets from The Phantom of the Opera, West Side Story and My Fair Lady. I’m eagerly awaiting to see my Sydney friends, but also all Greeks who love my music and songs. I believe that we will have a great time. What has your experience with the Greek diaspora been so far? I think that the Greek diaspora is a big heart beating strong and sending the message that Greeks are fearless, they keep the flame of Greece alight! I’m proud to be Greek and to see, throughout all my travels, how passionate the diaspora Greeks are in their love and support for Greece. How has being active in international repertoire – and particularly the classic one – influenced your outlook on Greek music and culture? Greek music will always have its own trademark personality, with the folk, traditional and ethnic elements. I think that through my experience in international repertoire, I may have discovered the most lyrical side of some songs, like Omorfi Poli by Mikis Theodorakis, Ornithes by Manos Hadjidakis and the songs of lyricists such as Nikos Gatsos and Manos Eleftheriou. It enabled me to find a different way to support this lyrical Greek songbook. Singing international repertoire essentially helped me become more Greek. You are a phenomenon in the Greek music system, practically introducing to the broader audience a kind of repertoire which was seen as ‘difficult’ or ‘academic’. How deliberate was this? What did you sacrifice to achieve this? This is not for me to say. I’m trying to avoid mediocrity and easy options and working at nightclubs, not because I snub them, but because I simply cannot do it. I’m definitely very picky in what I sing, I have the courage to say “no” to a lot of projects, but it is all about aesthetics. I won’t say ‘no’ to any project which is made with respect and love. I’m currently touring Australia, Canada and the US, and after that I’m leaving on yet another tour alongside Sarah Brightman, my third consecutive tour with her, to Vienna, Budapest and 24 other cities in Germany, Russia, and Scandinavian countries. I’m also working on two albums, one in Greek, with lyricist Paraskevas Karasoulos and significant collaborations with Eleni Karaindrou, Dimitra Galani and Giorgos Andreou. I’m delighted to work again with Paraskevas after 12 years and write music to his lyrics. But I’m also working on an album with songs by Burt Bacharach, Steve Wood, Jorge Calandrelli and David Foster. To keep the flame and my passion for my work and my voice, to be able to grow as an artist and also perform some opera parts, such Rodolfo in La Boheme and Nemorino in Donizetti’s The Elixir of Love. It would also be a dream come true for me to record the great Greek works of Mikis Theodorakis, Manos Hadjidakis, and Yannis Markopoulos. What would you do if you were Minister of Culture? I would find time to deal with the essence of Culture. I would find funds from Europe to put on more shows. I would demand that theatre tickets would be more affordable, so that the venues would always be full. I would make great venues like the Herod Theatre and the other ancient theatres more accessible to producers, and I would cut costs so that I would enable more important shows to come from abroad. My aim would be to make people’s life easier, so that everyone would get the chance to see great shows. What is the role of music and art in times of crisis, like the one in Greece? I believe that art makes us ‘grow’ inside and always shows us the way towards greatness, morality, balance. We are all facing a great crisis, but I believe that despite all the hardship that we cope with, art takes a serious role: that of our critic, our friend, our parent, our supporter; it becomes hope and love and protects us all. Human beings, particularly young kids searching, finding, resisting, and loving. Which of your songs best describes your current state of mind? Mario Frangoulis will be performing at the City Recital Hall (2 Angel Place, Sydney, NSW) on Sunday 22 October at 8.00 pm. To book, visit cityrecitalhall.com or call (02) 8256 2222.